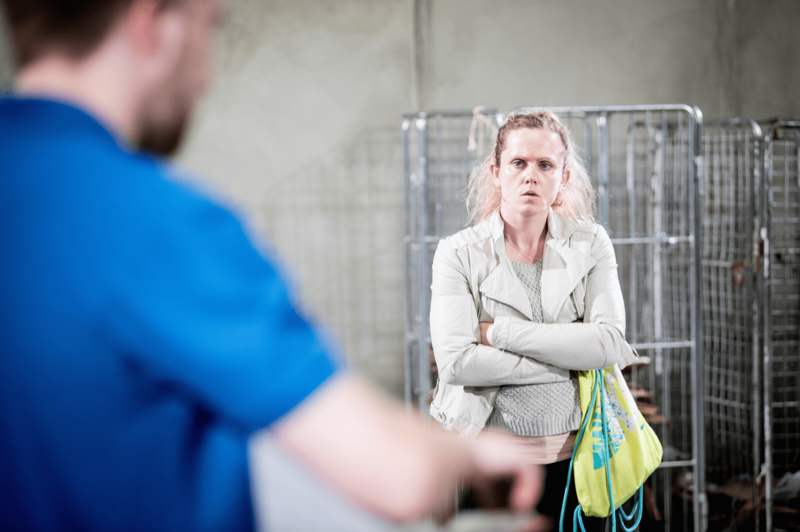 Beyond Caring explores dark humour in an intimate play about four people that work the night shift in a meat factory. 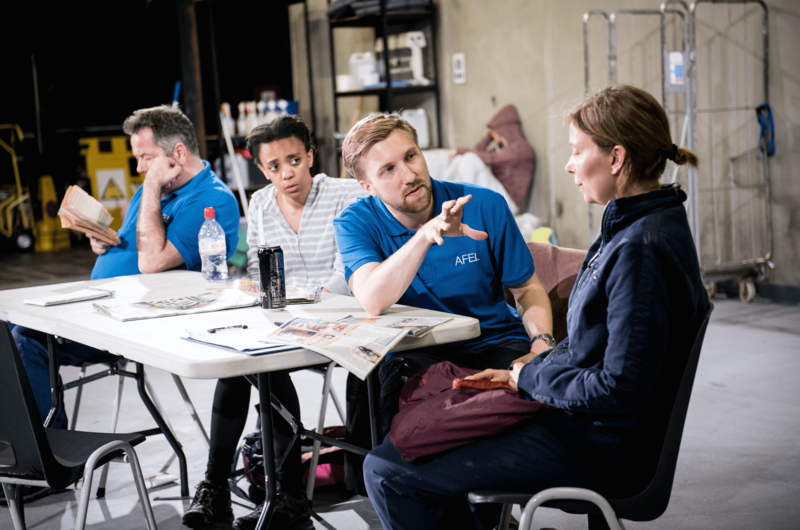 Using innovative surroundings, the play takes place on the stage of the Birmingham Rep. With the audience positioned in thrust, the stage has been transformed into an industrial space that allows the audience to feel confined within the factor, creating an uncomfortable atmosphere. The staging enables the audience to connect with the characters on stage as they open up and their stories become intriguing. All on a zero hours contract, they work tirelessly through the night in order to earn a measly amount of money to survive on. It’s a slow production, resembling their working lives and how time lacks importance as they are just waiting for the end of the day. The play opens when we are first introduced to the three female characters in the performance as they arrive for their interview to become cleaners at the factory. Instantly we are faced with their desperation and vulnerability as they nervously approach the boss. What is clever about the piece is the distinct contrast in characters, although they are all there for the same reason, their individual interpretation and characterisation is superb. Grace, played by Janet Etuk, suffers from arthritis and has only recently been given the all clear to return to work. Etuk provides an emotionally strong performance portraying her frustration as she can’t manage to do the jobs as fast as the others. Although she struggles, her positivity throughout is admirable, as she hasn’t quite given up and wants to make the best of the situation, she is the youngest of the group which is evident by her naivety. 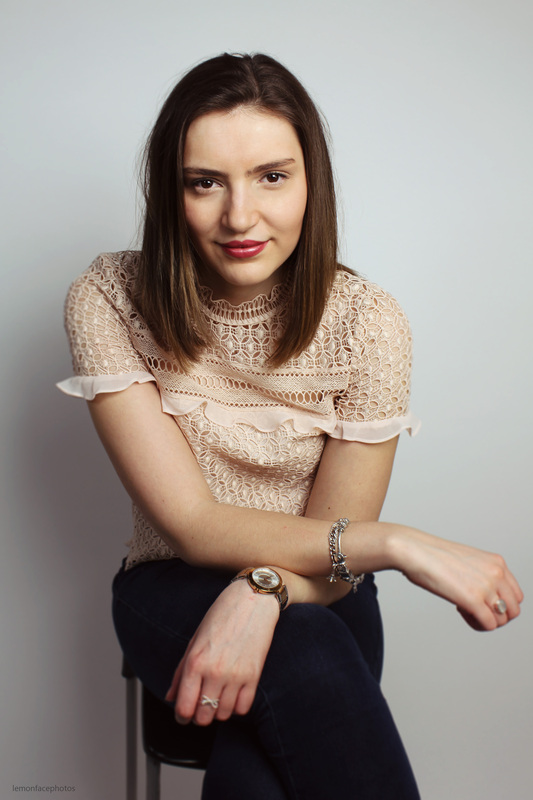 Unlike Becky, played by Victoria Moseley, who plays a brash and aggressive young woman. Clearly unable to cope with the lack of income, she takes her anger out on her colleagues. In contrast, Susan played by Kristin Hutchinson lacked a voice in the piece, she expresses her helplessness through her timid nature. Although she doesn’t have much dialogue, her anxiety and trepidation is conveyed excellently. Phil, played by James Doherty is the only male cleaner and he suffers with severe emotional problems. Constantly on edge and unable to relax, Phil appears to be persistantly at his tipping point and mentally unstable. There are elements of humour which are portrayed in a dark way, the supervisor Ian played by Luke Clarke is heartless and shows no compassion for the cleaners. His straight talking and unsympathetic nature is sometimes so outrageously forward the audience can’t help but laugh. There are no lengthy deep emotional monologues, no moments of breakthrough, the play is mainly an hour and 40 minutes of awkward pauses and painful silences. However there is something utterly compelling about the story and the lives of these four people, who are merely working to survive. It’s a shocking realisation and a brutally honest play that provides a real insight into the lives of a lot of people in our country. Incredibly thought-provoking and highly insightful, I left with a heavy heart and unable to comprehend how these people manage to survive. Beyond Caring is on at the Birmingham Rep until the 11th of June and tickets can be found here. Ah this sounds like a great play, I love that it’s raising such an important and relevant (especially after the JD sports news stories) issue! A fantastic review Amy, as always! Thank you so much, it was very different but really enjoyed the concept & style!